Serenity Now Travel Blog: Anyone got a banana? So we leave in 63 days. I have planned all of our dinners... and then planned them again... and again. I have booked our rooms. We're going during the low season, which means the busy season for the DVC resorts. I'm excited about our resort. Prince Donn Eric on the other hand isn't too happy, but if he would just trust this Disney gal he could be happy too. Although, if you know my brother you know that these days "happy" and "Donn Eric" only come together when he's eating or the mets are winning. He's been eating a lot lately. There's always next year?? I digress.The resort I picked is much better than where he wants to be staying. However, Donn Eric has this small defect that makes him a little confused at times. Seriously, I think the dude is hypoglycemic or something. I have no idea where he gets it from?? (Dad!!!) So my plan is to feed him little snacks the entire time he is at our resort so he has fond memories of it. I have the perfect plan. Shanna will be in the wheelchair, so I'm gonna use her pregnancy to help Donn Eric. I'm gonna attach a soft-sided cooler to the back of her wheelchair & fill that sucker up with food, but tell Donn Eric it's for Shanna. Then whenever he gets that look on his face, I'm gonna shove a banana in his mouth. You guys think I'm obsessing, but you haven't met Donn Eric. He is one serious dude when it comes to food. Last night we went to a Met game... 3 hours and $700 later he had consumed buffalo wings, cheese-covered corn on the cob, a cheeseburger, kettle chips, a tootsi pop, a snow cone & to be healthy, a fruit cup. And can I just say, I saw a side of my brother that I really never wanted to witness. It was while he was eating that cheese-covered corn. Let's just say he was REALLY enjoying it. Then, even after the great foodgasm of 2011, 80% of our conversation was centered specifically about the food at Disney World. More on that later. Let's get back to resorts. My absolute favorite resort is the Boardwalk Resort. I love it there. In a dream world I would be staying there. 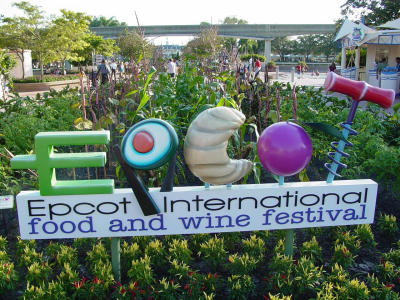 However, we will be there during my FAVORITE event at Disney World which causes the Boardwalk Resort to fill up quick. 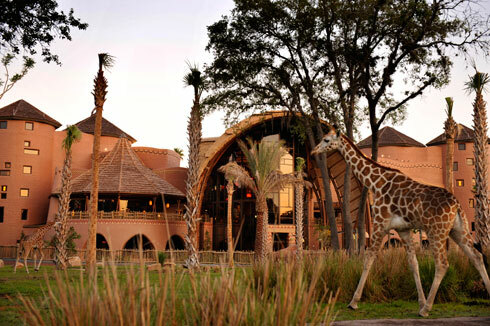 We're staying at Animal Kingdom Lodge! Really, if you were still unsure of where we were staying & needed me to actually spell it out for you, then you should probably just give up now. Anyway. We will be in a 1 bedroom and a studio. Back when I first planned this I only booked the 1 bedroom. I figured it'd just be me and my parents or a friend. I booked the room, cause I was going. Even if I had to go by myself. So my parents were on board with going almost immediately. Then Donn Eric and Shanna jumped aboard the Disney World train. They wanted to go as a last hurrah before the world's most spoiled child comes into this world. Poor kid doesn't stand a chance. So I called up and was lucky enough to be able to get an additional studio. The two bedrooms were all already booked. Then the heavens opened, mana fell from the sky, beams of light radiated from the clouds, mothers thru babies in the air in celebration, water poured out of rocks, and then turned into wine, met fans embraced philly fans... okay even I'll admit that last one was a bit much, but babies were definitely flying thru the air as I met Matt. So Matty boy came into the picture and upon my first look at him, I thought, I'm gonna bring him to Disney World. For you normal people, that translates to, "I'm gonna marry him one day." Not me. First comes love, then comes Disney World, then comes marriage in a marriage carriage. Nauseating, I know. Work with me, people. So even with the addition of Lifetime Matt, we still had enough room with the 1-bed & studio. The reason Donn Eric is against Animal Kingdom Lodge is because AKL is a little further away than the rest of the resorts. It's a 5 minute ride to Animal Kingdom (park) but everything else is a little far. What he forgets, however, is that the other resorts are slightly closer to ALL the action but their buses stop at other resorts in addition to their own, which adds a lot of time. Also due to this there are many times when the busses arrive but they are almost full so you stand there and watch them fill up completely while you stand there helpless and watch. Then you have to wait an additional 10-20 minutes for another bus to come. 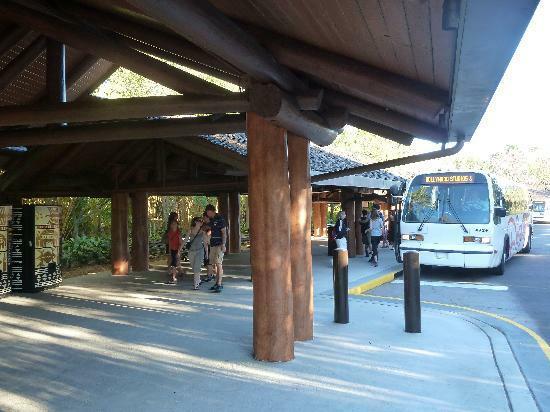 Animal Kingdom Lodge's buses go from the resort, directly to the park you want. Therefore, with all things considered, AKL is much better when it comes to buses. He'll see. He'll probably never admit it, but he'll see that it's not so bad. I don't know how, but I actually lost weight yesterday.